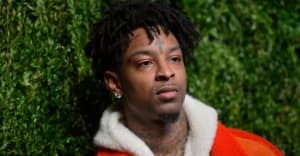 Listen to a preview of the 21 Savage collaboration now. Cardi B is ending the year with a brand new single. "Bartier Cardi" features 21 Savage and will drop on Friday (December 22). It's Cardi's first solo single since "Bodak Yellow" was released earlier this year. A preview of the track, alongside its artwork, can be found above. The Bronx rapper has also released a new song with Ozuna this week, as well as featuring in the video for G-Eazy collab "No Limit." She's also throwing a NYE party you'll wish you were at come December 31.